In Salt Lake, one of the many plants we had was a euphorbia. I named her Euphie. She got a sunburn and recovered. We picked her branches and grew baby euphorbias. Then she got too cold and mostly died. I hope she’s still alive. But I digress. 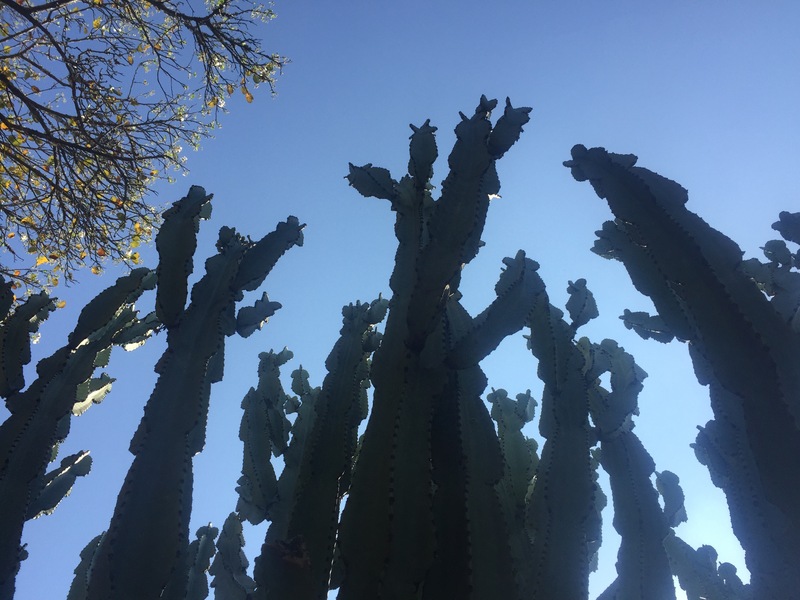 The euphorbias here in their native land are intense. They’ve been growing for so long they are trees. 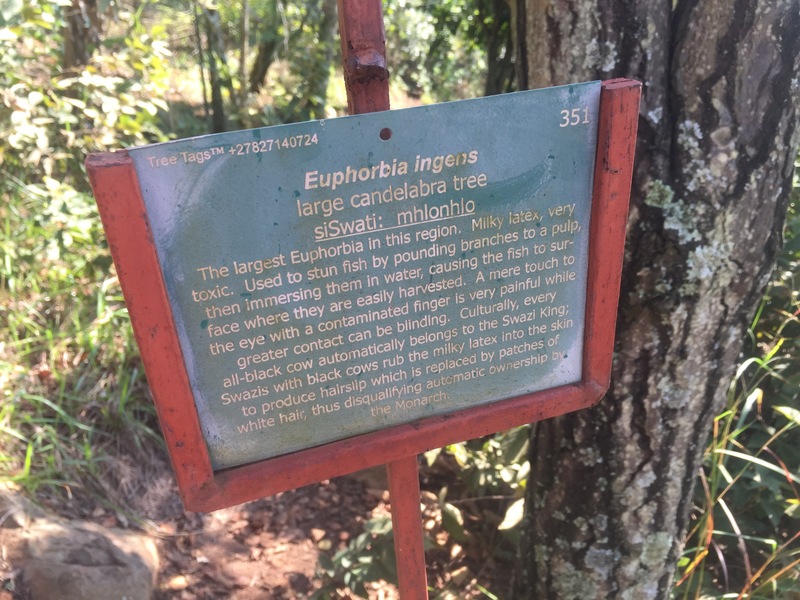 At the botanical garden at Reilly’s Rock at Mlilwane many plants were wonderfully labled, including this euphorbia. This sign tells a fascinating story of how every all-black cow belongs to the king (sorry Lenjisi, one of our calves. I’ll have to get some euphorbia juice to change your color). I’ll definitely have to ask my family and tutor about this practice. This entry was posted in Africa, eSwatini, Peace Corps, Swaziland, Wednesday photo and tagged Africa, eSwatini, PCV, peace corps swaziland, Peace Corps Volunteer, Swaziland. Bookmark the permalink.